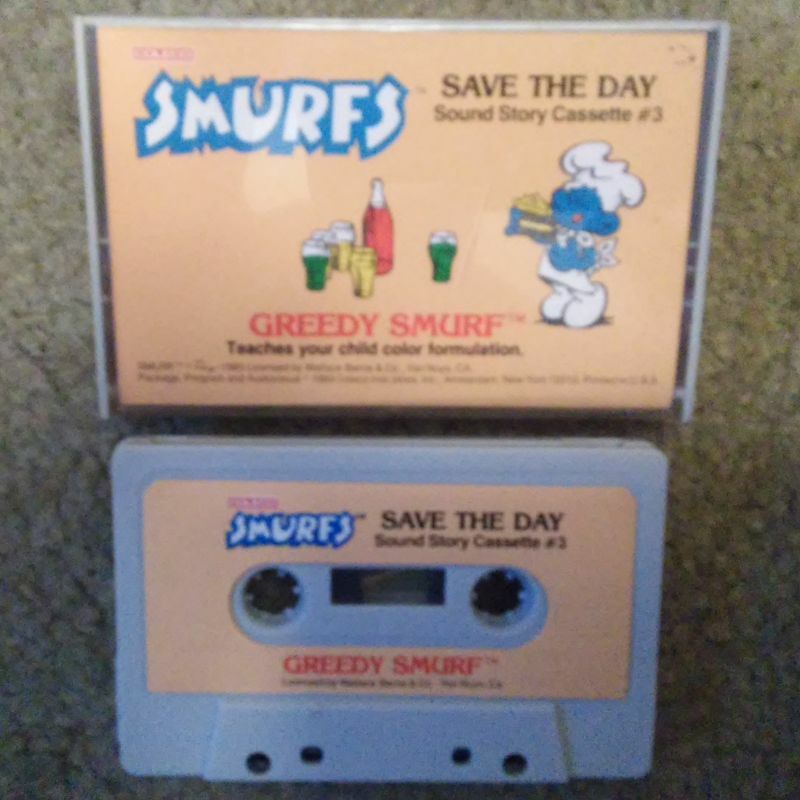 I'm looking for the third cassette for the Smurfs Save the Day game, Greedy Smurf. Actually I only need the case and insert, but I will buy the cassette if needed. They do not sale very often, but when they do they do not go for a whole lot. One just sold for $3.25, yet I didn't bid because I did not realize I needed the case. I figure $15 for everything and $10 for just the case and insert. I also would like to buy the earbud, listed as ear plug on the box, that came with the Kid Vid. I have one coming that looks like a match, but it did not come out of the Kid Vid package. It looks like the same off the shelf part, however I would still be willing to buy one if anybody is selling. No idea on the price so we would have to work it out. I have a Greedy Smurf cassette available. The label has peeled off the cassette, although it is still in excellent condition and could be glued back on if you wish. Here is a picture. PM sent.